I get a lot of questions about, “What do you do when?” Here are a few general health management things I use. To learn more, just Google the product name or consult your veterinarian. The things listed below are just for “general information” and are not recommendations/endorsements or implied guarantees as to their safety or effectiveness in your cowdog operation and/or program. There are other items that can be used that are less expensive. But for those asking, “What do you use?”, then here are a few items I keep on hand. ALWAYS CONSULT WITH YOUR VETERINARIAN. THEN, FORMULATE YOUR DECISIONS BY USING THEIR ADVICE. SEE ITEM #23 BELOW. ULTIMATELY, YOU ARE RESPONSIBLE FOR YOUR DOGS AND THE RESULTS OF YOUR DECISIONS. Deramaxx – for pain, injury, arthritis. Neo-Par – puppy vaccine that can be used at an early age of a pup’s life. 7 or 8-way parvo/distemper/lepto/corona virus vaccine – annual booster vaccine for adult dogs. Kennel cough vaccine for pups. Ultra-Cal or Nutra-Cal – a calorie rich supplement for times of convalescing/dog illness recovery. Cephalexin – antibiotic in powder form in capsules. Brood dogs after whelping. Stud dogs after servicing. Methagel supplement – for dogs that are prone to urinary pH irregularity. Co-Flex wrap – injury stabilization to a leg, foot. Electrolyte powder – have on hand for times when a dog overheats or dehydrates. 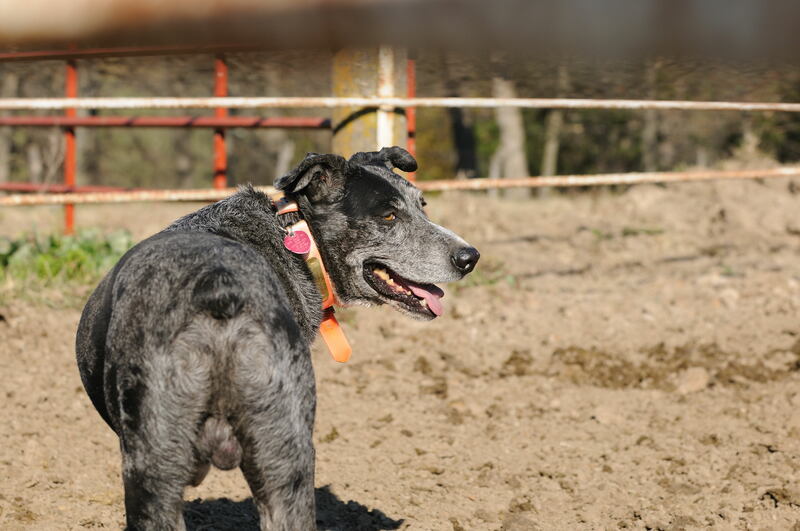 Lactated Ringers – have on hand for times when a dog overheats or dehydrates. Or if you get a pup that becomes a little dehydrated and needs a hydrating boost. Propylene Glycol – can be used to supplement depleted blood sugar levels. I keep this on hand for cows that may go down during times extreme cold stress and they are near calving. I’ve had to use this once in the last 5 years for a cow that chilled out during a blizzard and she was carrying twins. I also use it for calves that get sick with respiratory in extreme heat or cold temperatures. Stainless steel large toe nail clipper – tail docking. Betadine iodine concentrate – keep nail clippers in this when docking tails. Wash dirt-filled eyes or eyes that get packed with grass seed heads in the late spring. Gauze squares – use to gently massage or clean a wound. Visine Allergy Relief – for eyes in times of extreme dust/dirt. Nitrofurazone Eye Puffer – eye infection prevention or mix with betadine for wound cleansing. Cloverdale Country apple cider vinegar style – wound cleanser. Pyrantel pamoate – puppy, bred female, lactating female general dewormer. Valbazen – cattle dewormer…not labeled for dogs, but I use it diluted in a rotational deworming schedule. Same can be said for SafeGuard which is also in the “bendazole family of dewormers”. Do your research as to the active ingredients in canine products and then apply the math to dilute the cattle products down to the safe levels for canine use. Interceptor – general dewormer, heartworm prevention. Ivermectin based dewormers – I’ve genetic tested a few dogs to see if they can tolerate ivermectin based dewormers which tend to be more cost-effective/less expensive. I’ve used ivermectin based pour-ons for tick/flea control. I HAVE NOT TESTED ALL MY DOGS AT THIS POINT TO DETERMINE THEIR TOLERANCE FOR IVERMECTIN-TYPE PRODUCTS. You can Google the vet schools for more information or references as to securing these testing services…ex. Univ. of Washington. NOTE: Any type of pour-on product may impact different dogs in a different way. For example, some dogs may be allergic to oil-based pour-ons or alcohol based pour-ons. Weather temperatures can also impact skin reactions to pour-on products…same thing that you will observe in cattle of various ages or weight classifications. Use caution regardless of what you do. ALWAYS CONSULT WITH YOUR VETERINARIAN. THEN, FORMULATE YOUR DECISIONS BY USING THEIR ADVICE. SEE ITEM #1 ABOVE. ULTIMATELY, YOU ARE RESPONSIBLE FOR YOUR DOGS AND THE RESULTS OF YOUR DECISIONS. NOTE: Here is a bit of reference text from the Univ. of Washington’s Vet School. For all the vet school’s details, just go to their website. IMPORTANT NOTICE – The discovery of the mutation of the multi-drug resistant gene (mdr1), establishment of testing procedures, and development of all reagents was made by Washington State University. It is also a patent protected diagnostic test offered exclusively by Washington State University that has not been licensed to any other entity in the United States. It is licensed in Australia and Europe. Any unlicensed use or marketing of the patented test is a violation of federal statute under 35 u.s.c. 271. Unless testing is conducted by Washington State University’s Veterinary Clinical Pharmacology Laboratory, Washington State University cannot control quality and accuracy and consumers may risk receiving inaccurate results. Prices $70 US Dollars per test for 1-4 tests included in a single shipment. $60 US Dollars per test for 5 or more tests included in a single shipment (a 15% discount). You will be asked to include payment when you return the sample to our lab. There is no charge for ordering a test kit. We accept checks, money orders, or credit card (MasterCard or Visa). Please do not send cash.